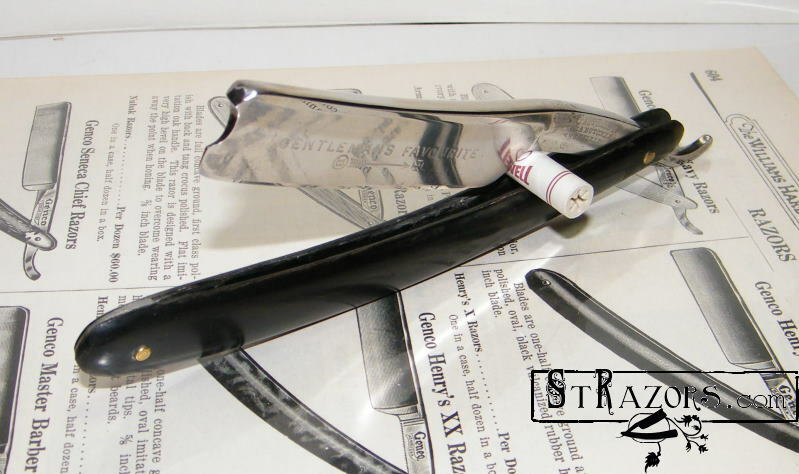 STRAZORS.com - all about classic razors - Wade & Butcher, Sheffield. 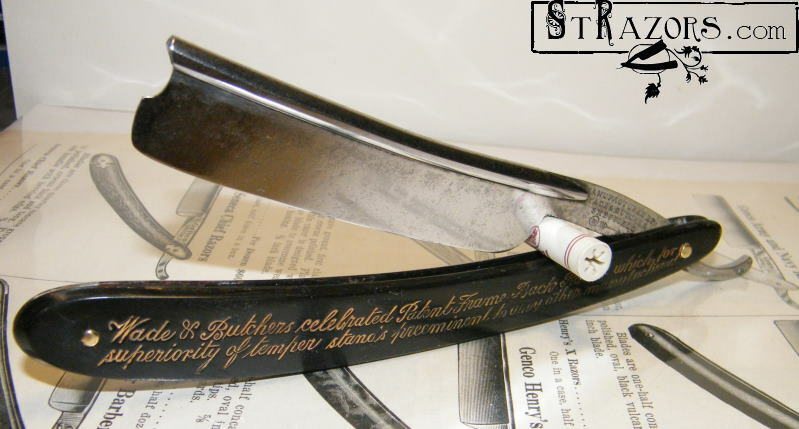 Wade and Butcher was a tradename of the W & S Butcher Co. Brothers William & Samuel Butcher started the company in Sheffield in the 1820s. 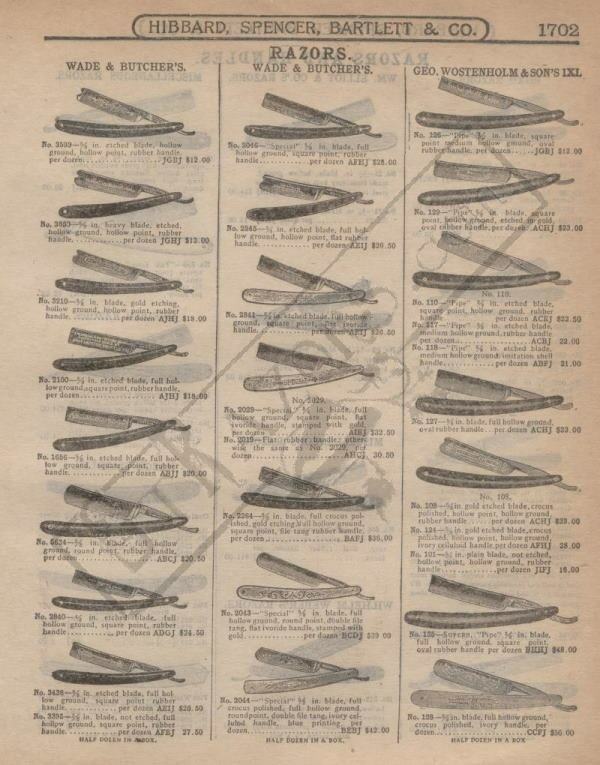 Not too long after they had a partner named Robert Wade who was the New York based importer of W & S Butcher knifes for the US. 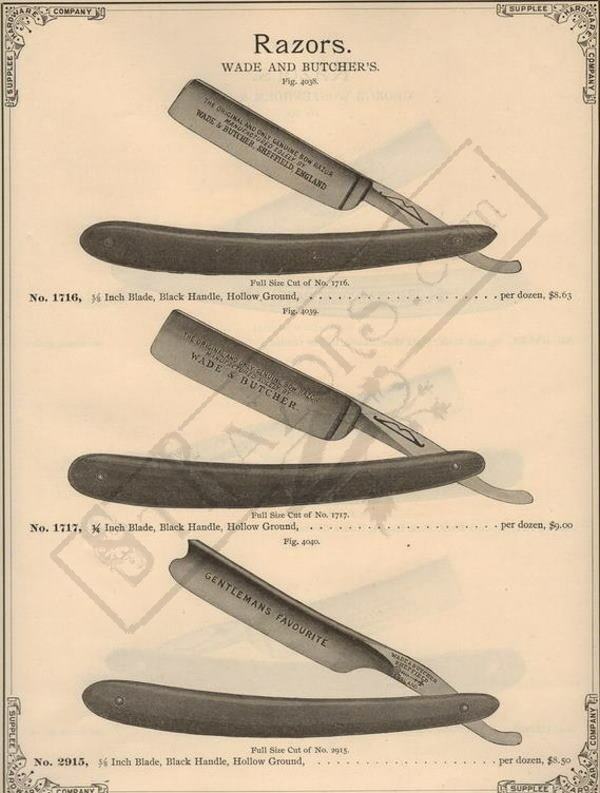 This was one of the main markets for the company's goods prior to the introduction of the McKinley tarifs of 1891. 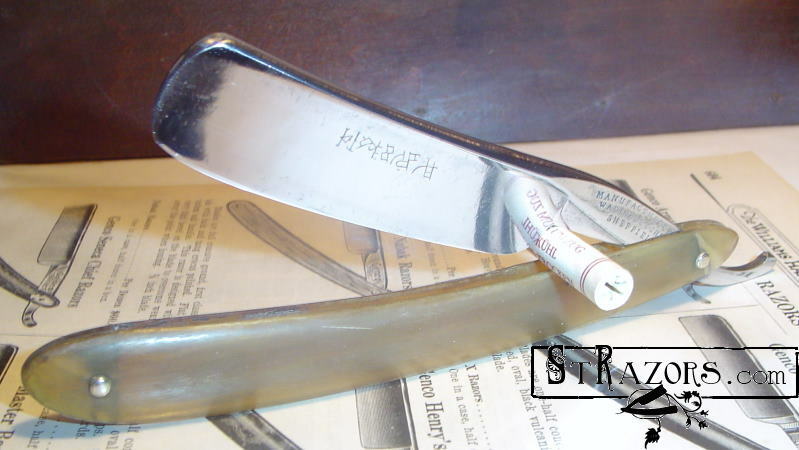 Not all W & S B knives are marked Wade and Butcher. 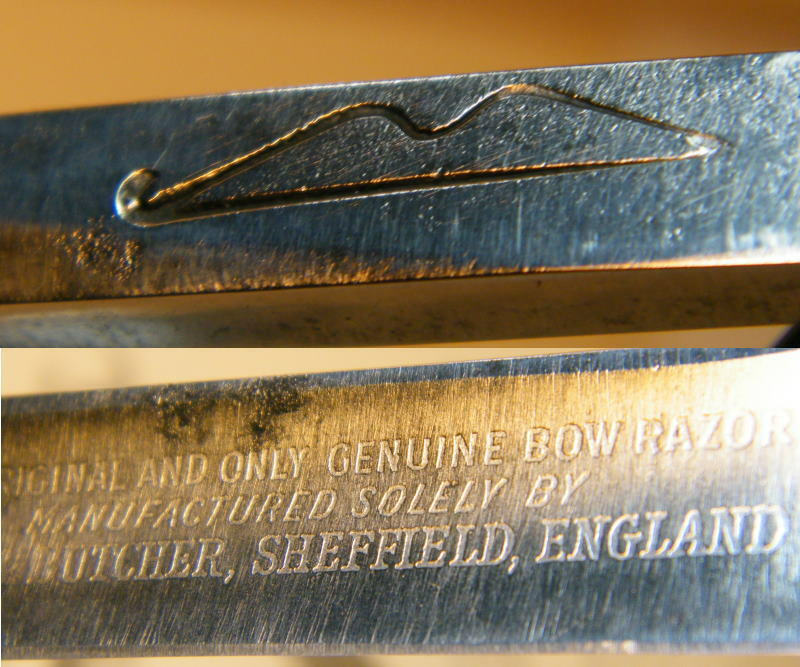 In 1921 the American company Durham-Duplex bought W & S B and used it for the production of their safety razors as well as other forms of cutlery. 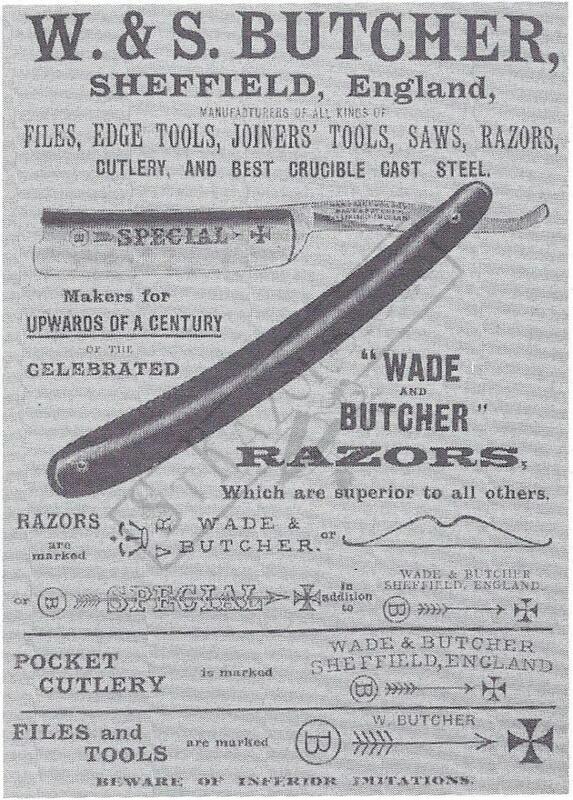 W & S Butcher ceased production in Sheffield in 1959. 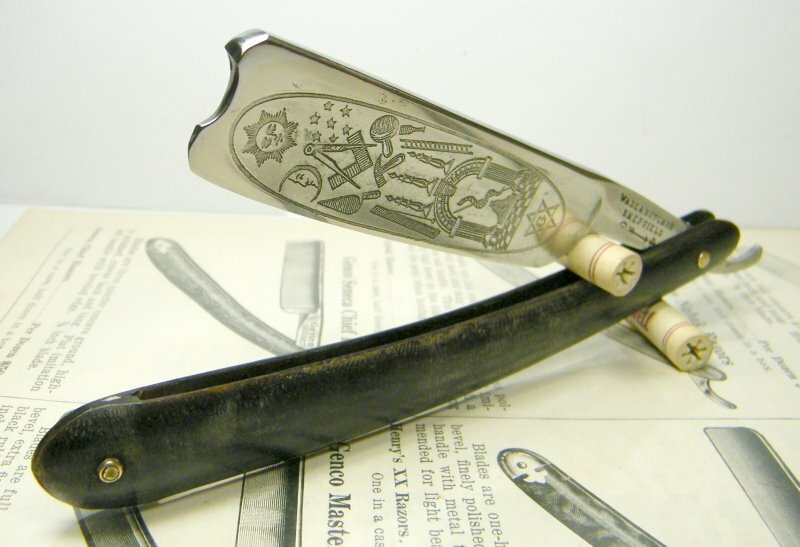 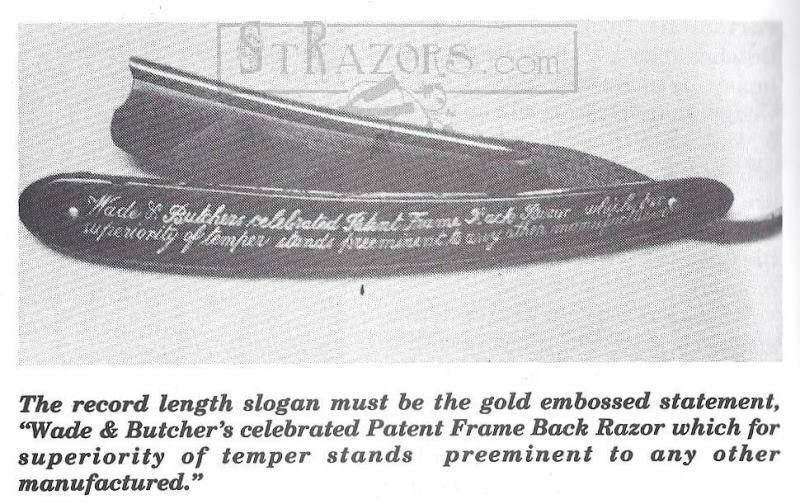 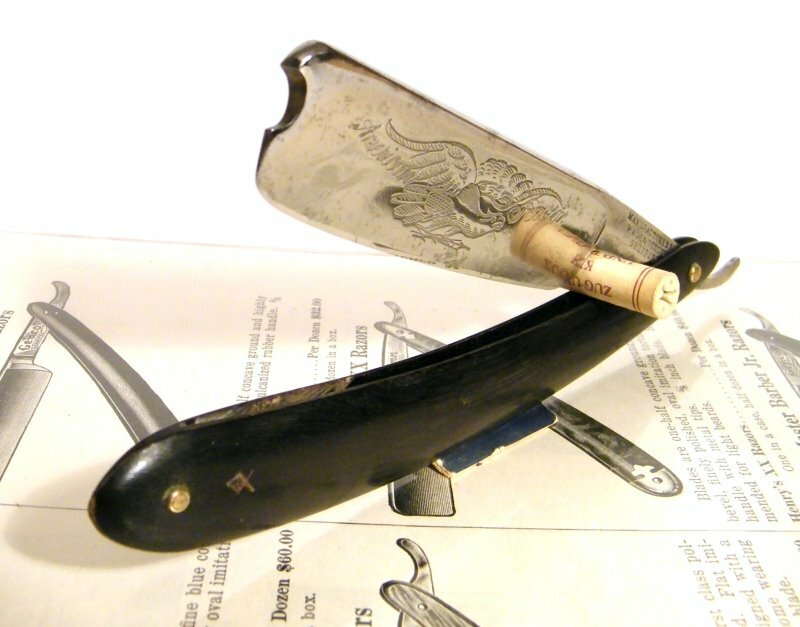 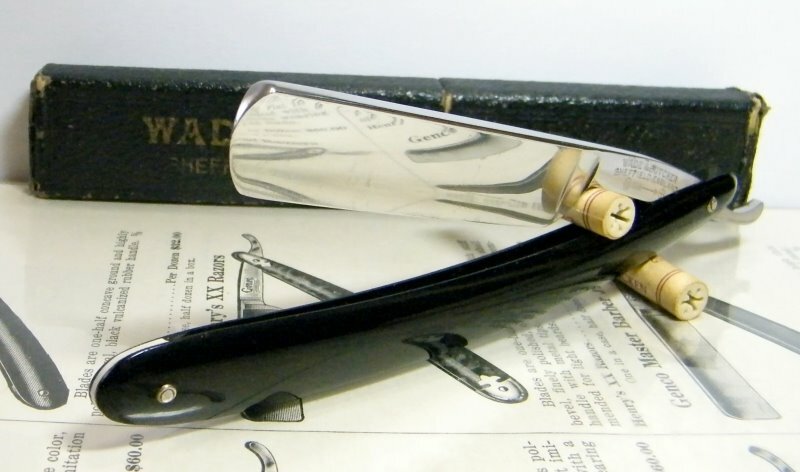 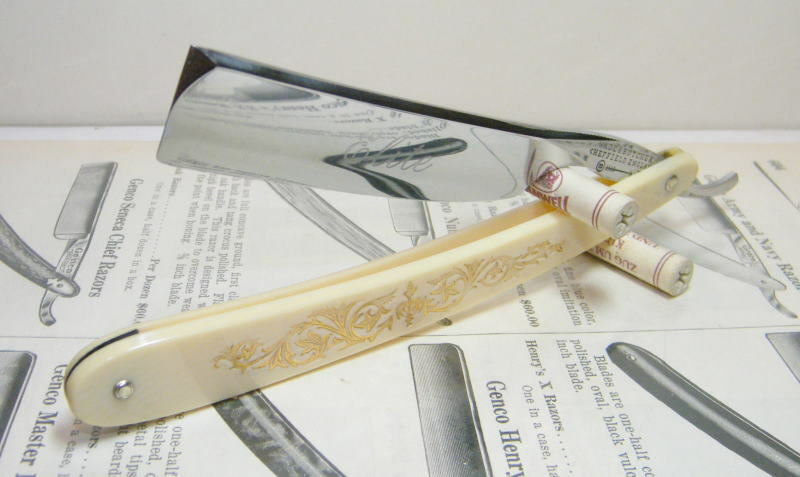 "This "Chinese Razor" was probably made for Chinese-American immigrant market during the 1850s. 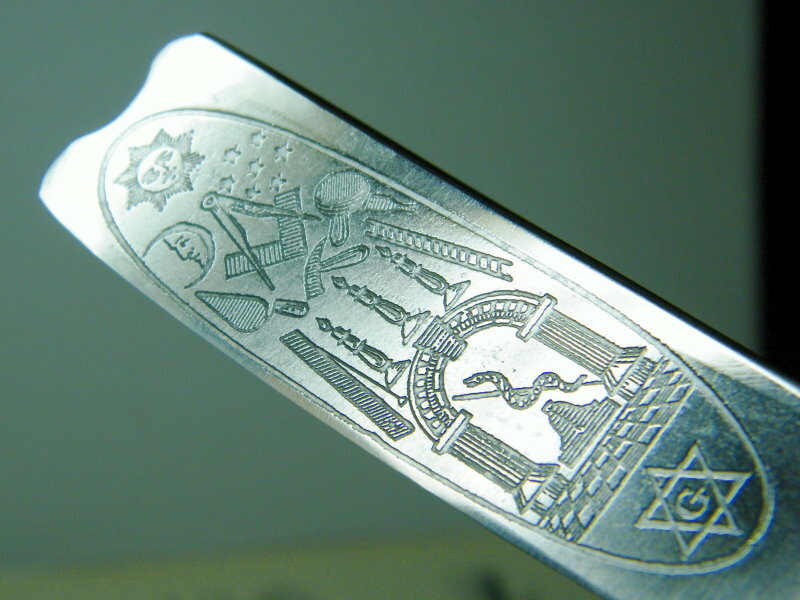 The symbols on the blade are not part of the Chinese language".